Powel Crosley arrived in St. Augustine, Florida, from Kansas, to attend Flagler College on a tennis scholarship. He has remained in the Old City since graduating in 1993, except for three years he spent in Atlanta. Powel loves St. Augustine and being out on his boat, a 2017 Vantage VHP, by East Cape Skiffs. 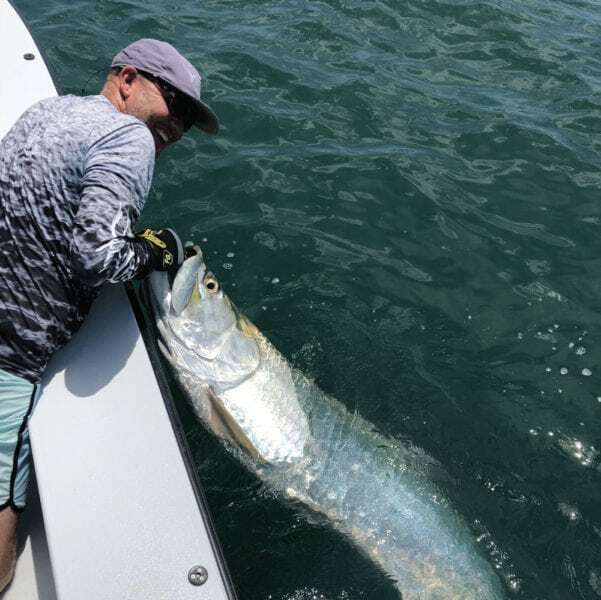 He, along with wife, Michelle, and their children, Paige and Bryce, take their fishing seriously and spend as much time on the water as their schedules will allow, preferring weekdays over the crowded weekends. Since he grew up boating and fishing on freshwater inland lakes, it took Crosley a little while to adjust to saltwater angling. He now finds himself addicted, with each trip offering a different and challenging experience. The Crosleys have made many lasting friendships within the close-knit fishing community of St. Augustine. The Crosleys have owned many boats over the years, but this one, built by East Cape Skiffs out of Orlando (www.eastcapeskiffs.com) is by far their favorite. 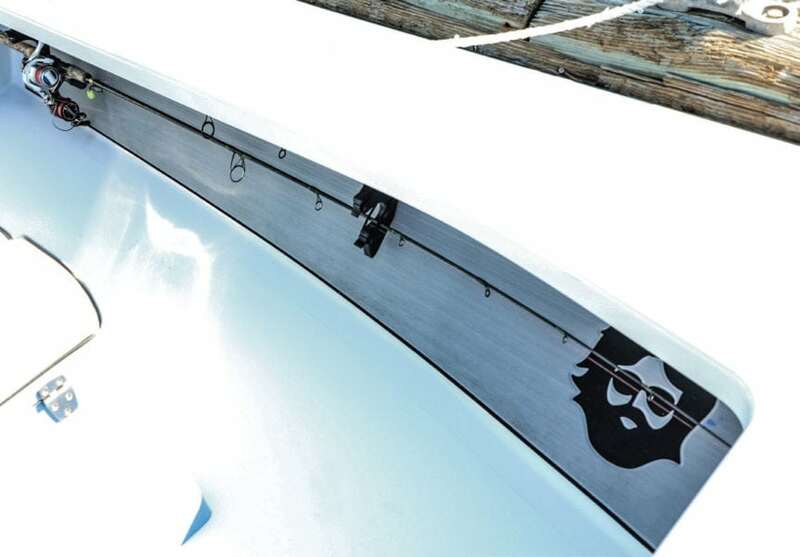 Powel has customized the boat extensively to fit his specific needs. Jay Talbot is an artist, fisherman, and fellow deadhead (Grateful Dead fanatics, do we really need to explain that?) helped with the customization. 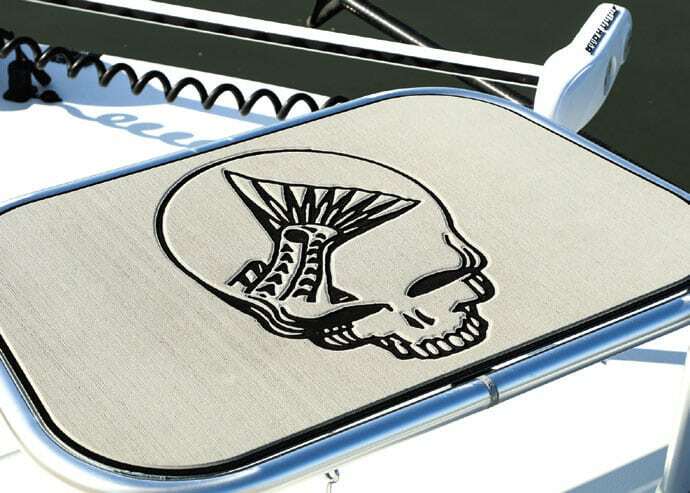 Powel tasked Talbot with making a redfish and Grateful Dead logo combination for the boat. He came up with an awesome design that has been placed on the boat in several locations. 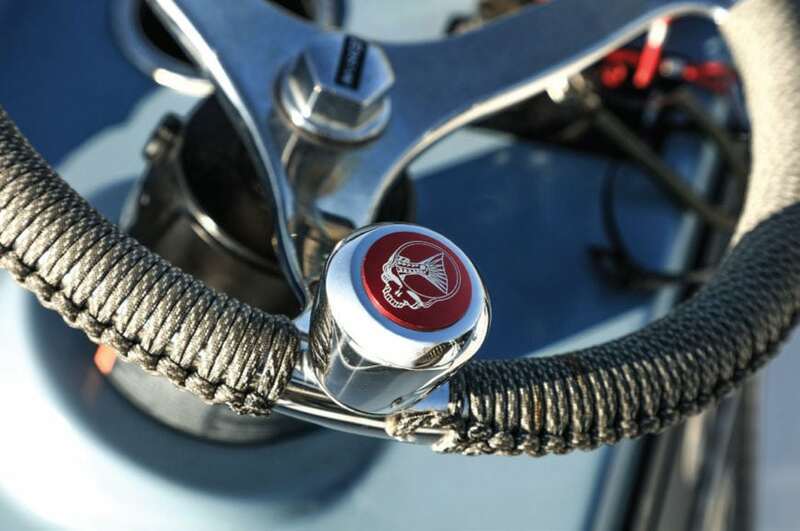 Crosley also has a Jerry Garcia design on the gunnels from Seadek Marine Products. Seadek recreated the “Redhead” logo Jay designed on the front casting platform and poling platform, too. The custom knob on the steering wheel has the “Redhead” logo, fabricated by V Marine, and daughter Paige created the custom steering wheel wrap. The boat is truly one of a kind. It looks great and is one of the best performing skiffs on the water. 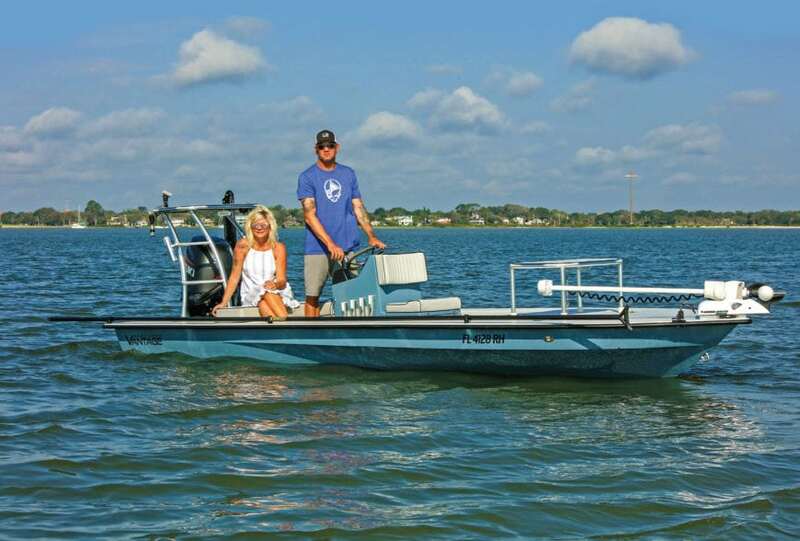 The true king of open water skiffs, the East Cape VANTAGE is the driest skiff in existence. With rough water handling and the safety of larger boat, you will get to the fishing grounds and back much more comfortably.